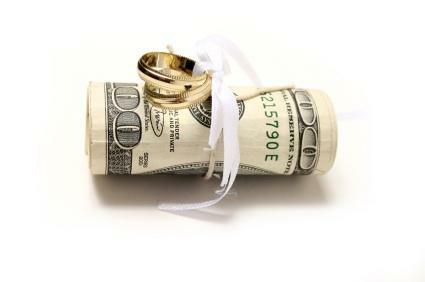 Financial issues are addressed in divorce settlements. When there are a number of financial issues involved, divorce settlements can be quite complicated. In addition to consulting with your lawyer, it is a good idea to get expert advice from an accountant or a tax planner before finalizing the terms of your divorce settlement. One party may be awarded the house outright. The house may be refinanced so that one party can buy out the other one's interest in the home. The house can be sold and the proceeds split between the husband and the wife. With some divorce settlements, one person retains ownership of the matrimonial home and the other receives cash from bank accounts or joint investment accounts. The person who has received property in the divorce must take steps to ensure that they have enough cash flow to cover living expenses. Although there may be equity in the home, it cannot be accessed immediately if the need arises. In a situation where the divorce settlement includes funds from a retirement plan, you will need to consult with a financial advisor to make sure you understand the tax implications of this course of action. When retirement savings are transferred to a former spouse as part of a divorce settlement, the normal 10 percent penalty for early withdrawal is waived. These funds will be subject to a 20 percent withholding tax unless they are transferred directly from one retirement fund to another. It is quite common for divorce settlements to contain a provision that the spouse who is paying child support or alimony should have life insurance in place to cover the cost of these payments if they die unexpectedly. If you are the person receiving the payments, make sure that you are also the owner of the insurance policy. The person who owns the insurance policy can change the beneficiary, stop making payments, or cancel the policy entirely without having to notify the other person that this has been done. To make sure that the insurance policy is paid on time, make sure that you are the one who actually owns it. That way, you are not running the risk of financial disaster if something happens to your former spouse. Divorce settlements also include provisions to deal with debts the couple has accumulated while they were married. It is important to keep in mind that you are both responsible for joint debts until the balance has been paid off in full. In the event of default, the fact that there is an agreement or a court order that one spouse is to be responsible for making payments on a debt won't stop the creditor from looking to the other spouse for payment. Once it has been determined who will be paying for joint debts, the non-payor should ask to have their name removed from that account. Until the financial issues can be worked out between you and your spouse, make sure that your bills are paid on time. Not only will keeping your payments up to date help with your credit rating, but a creditor will be more willing to remove your name from the account after the divorce settlement has been worked out if it is current. Divorce settlements deal with complicated financial issues that may have serious implications in the future. Take the time to consult with experts to understand what the terms of your divorce settlement may mean to you.